Brown Ideye, Victor Anichebe (West Brom): In-form Super Eagles striker Brown Ideye was in action for West Brom for 90 minutes but couldn’t prevent them from crashing out of the FA Cup as they lost 2-0 to Aston Villa. The game was Ideye’s 23rd appearance, and he has scored six goals. His Nigerian team-mate Victor Anichebe was not dressed for the match as he is yet to recover from a groin injury. Yakubu Aiyegbeni, Hope Akpan (Reading): Former Super Eagles attacker Yakubu Aiyegbeni was on in the 80th minute for Jamie Mackie as Reading held Bradford to a 0-0 draw in the FA Cup clash. Since his move back to England, Aiyegbeni has scored only once, against Derby County in a 2-1 FA Cup win. His Nigerian colleague Hope Akpan, replaced Nathaniel Chalobah in the 83rd minute. Odion Ighalo (Watford): Nigerian striker Odion Ighalo did not feature for Watford due to a thigh hamstring, held homers Wolverhampton to a 2-2 draw. Ighalo has scored 17 goals in 27 games in the English championship. Kenneth Omeruo (Middlesbrough): Super Eagles defender Kenneth Omeruo was not listed in Aitor Karanka’s squad as Middlesbrough lost 2-1 away to Nottingham Forest. The Chelsea loanee has appeared 18 times this season for Middlesbrough. Efe Ambrose (Celtic): Super Eagles right-back Efe Ambrose saw 90 minutes action as Celtic were held to a 1-1 draw away to Dundee United in the Scottish Cup. He has made 18 appearances for the Scottish champions this season. Vincent Enyeama (Lille): Super Eagles keeper Vincent Enyeama was in goal for Lille in their 1-0 away win against Guingamp. The game was Enyeamá 12th clean sheet of the campaign. He has conceded 24 goals in 28 Ligue 1 games so far. Elderson Echiejile (AS Monaco): Super Eagles left-back Elderson Echiejile was an unused substitute for AS Monaco in their 3-1 away win against Evian. Echiejile has seen action 10 times, scoring just one goal so far. Kalu Uche (Levante): Nigerian forward Kalu Uche scored the winning goal for Levante as they beat Eibar 2-1. Saul Berjon had put Eibar ahead on 55th minute but goals from David Barral in the 65th minute and Uche two minutes later sealed the win for Levante. Uche was also on target last weekend in his team’s 4-2 loss to Rayo Vallecano. He has struck three times in six appearances. Ike Uche (Villarreal): Super Eagles forward Ike Uche was an unused substitute in Villarreal’s 4-1 home win over Celta Vigo. Uche has found the back of the net five times in 20 appearances for Villarreal this season. 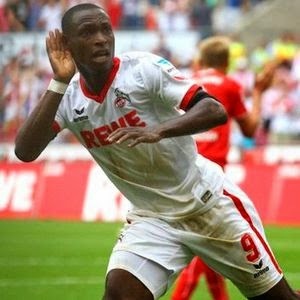 Anthony Ujah (FC Cologne): Nigerian forward Anthony Ujah scored and provided an assist as Cologne defeated Eintracht Frankfurt 4-2. Ujah scored on 82nd minutes to seal the win for Cologne and take his tally for the season to nine. He was substituted for Mergim Mav raj on 87 minutes. Godfrey Oboabona (Rizespor): Super Eagles defender Godfrey Oboabona was left on the bench for 90 minutes as Rizespor held Balikesirpor to a 2-2 draw. Also, in last weekend 3-0 home win against Eskisehirspor, Oboabona was overlooked by his coach. The former Sunshine defender as featured 12 times, netting just once. John Utaka (Sivasspor): Nigerian forward John Utaka was a 39th minutes entrant for Batuhan Karadeniz in Sivasspor’s 1-0 home loss to Besiktas. Utaka has scored two goals in 14 appearances this current campaign. Michael Olaitan (Ergotelis): Former Olympiakos forward Michael Olaitan was introduced on 66 minutes for Bruno Halkiadakis as Ergotelis pipped home side Veria 1-0. The game was Olaitan’s fourth, scoring one goal so far. Uche Nwofor (Lierse), Moses Simon (Gent): Nigerian forward Uche Nwofor repalced Wamberto in the 62nd minute but couldn’t prevent his team from losing as they lost 2-1 away to Gent. Nwofor who did not feature against Genk last weekend, has scored two goals in 11 games. His Nigerian counterpart Moses Simon, saw action for 90 minutes, and has scored six goals in eight appearance. Wilfred Ndidi (Genk): Nigerian defender Wilfred Ndidi was once again overlooked by his coach as his side defeated visiting Zulte-Waregem 3-2. Ndidi has featured just once for Genk this term. Imoh Ezekiel (Standard Liege): Nigerian striker Imoh Ezekiel was replaced by Jiloan Hamad in the 21st minute as Standard Liege lost 1-0 to Mechelen. The game was Ezekiel’s fifth, and he has scored two goals. Emmanuel Emenike (Fenebache): Super Eagles striker Emmanuel Emenike was on from the start but was later replaced by Alper Potuk on 66th minutes as Fenebache pipped Galatasaray 1-0. The game which was Emenike’s 20th in the league, has seen him scored four times. John Ogu, Austin Ejide (Hapoel Beer Sheva): Super Eagles keeper Austin Ejide was in goal for Hapoel Beer Sheva as they held Hapoel Haifa to a 1-1 draw. The game was his 25th of the campaign. His Nigerian team-mate John Ogu also featured throughout the encounter. The former Academica midfielder has appeared 24 times, netting four times. Kayode Olanrewaju (Maccabi Netanya): Former Flying Eagles player Olanrewaju Kayode featured for 90 minutes for Maccabi Netanya as they were held to a 1-1 draw against Hapoel Acre. 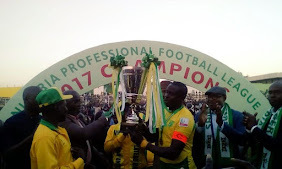 Kayode has scored 10 goals in 23 appearances.